Self-deception is the act of lying to yourself. You have likely noticed this puzzling behavior in others, that is, cases in which people apparently believe something that they must know is false. This behavior does not include exaggeration, faking, or simple lying—those are cases in which the individual is well aware of uttering a falsehood. Instead, self-deception is something deeper and more complicated, even paradoxical. Consider some typical examples. An otherwise pleasant young man drinks too much alcohol but gets angry if anyone suggests he has a drinking problem. He refuses to believe he is an alcoholic even though the evidence is obvious: Empty bottles are hidden throughout his apartment, and his boss has often sent him home for drinking on the job. Again, it does not count as self-deception if he knows he is an alcoholic but is simply lying about it. Consider another case in which a young woman has a deep-seated hatred of her mother but cannot admit it to herself. The signs of this hatred are abundant; she angers quickly at any mention of her mother and makes a face when mentioning her. But the young woman cannot admit it because much guilt and shame would ensue. The mother of a criminal cannot believe the things the police say about him. Her reason for living, her pride and joy, would be destroyed, so she won’t let herself believe it. Still she startles at every ring of the phone, fearing that it is the police calling about her son again. The more one analyzes such cases, the more complex the notion of self-deception appears. Explaining them requires an acknowledgment of the unconscious part of the mind. Only in the unconscious can an emotional conflict actually influence an individual’s behavior and yet be inaccessible. At a conscious level, the truth about an individual’s particular problem area is unavailable or, at least, obscure. The unconscious, however, knows the truth. Therefore, self-deception is not simply being mistaken about oneself. You may well be in error about many aspects of your life. But most of them are not the result of any self-deceptive process. For example, you may not have been told that you are adopted: In that case, others may have purposely deceived you. Or you may believe that you have a genius-level IQ because you accidentally misscored a take-home IQ test. Your recall of the fact that you hated your parents at age 10 may have faded along with other memories. None of these cases qualifies as self-deception. Because the unconscious appears to be involved, self-deception is often discussed in the context of Sigmund Freud’s famous psychoanalytic theory. Rather than being one of the traditional defense mechanisms, self-deception is thought to be a necessary component of all defense mechanisms. Each one has the paradoxical element noted earlier: There must be at least one moment of self-deception for a defense mechanism to work. Those readers familiar with such defenses as projection, intellectualization, and repression will understand that, in each case, a person has to be both unaware and hyperaware of the disturbing information. Psychoanalytic theory is pessimistic about your ability to ever recognize self-deception in yourself. That conclusion is probably too severe: A person should be able to recognize his or her own self-deception at some point after it occurs—when the person has cooled down and has a more objective perspective on the issue. When Freud first wrote about self-deception, he was attacked by a famous philosopher, Jean-Paul Sartre. Like many nonphilosophers, Sartre dismissed the idea of self-deception as impossible. How can you know something and not know it at the same time? This criticism is a powerful one. How can you avoid a thought without knowing it is there? An analogy would be the goal of avoiding someone you hate: You cannot effectively avoid the fellow unless you are continuously vigilant for his possible appearance. Similarly, the task of avoiding potentially upsetting self-knowledge requires that you continuously turn your mind away from it. Success at this task would seem impossible if you don’t know the threatening thought is even there. Freud flatly rejected Sartre’s critique. A true understanding of the unconscious, Freud argued, would reveal that self-deception can occur. Its feasibility has indeed been supported by recent developments in cognitive psychology. For example, we now know that many processes are unconscious. Moreover, we know humans’ cognitive apparatus allows for multiple versions of the same information: Contradictory information can be stored in two different parts of the brain. Finally, we also know that the emotional part of a stimulus is processed more quickly than is the content. For example, with a polygraph, the emotional impact of a word can be detected before the word is understood. Given the solid evidence for these mental processes, the possibility of self-deception becomes quite feasible. Incoming information is processed by two different brain systems. One is the cognitive system that deals with the informational value of the stimulus; the other is the emotional system. Furthermore, the emotional system operates first, thereby allowing the mind to set up preemptive roadblocks for the informational system. Given that self-deception has been mentioned from the earliest writings of human beings, many psychologists suspect that it has an evolutionary basis. That is, human beings engage in self-deception because it is built in to the genes of our species. According to evolutionary theory, such psychological tendencies are part of our genetic makeup because they proved to give a survival advantage to those who engaged in it. Individuals without this tendency did not survive as well as those who did. But how could such irrationality be adaptive? An anthropologist, Robert Trivers, pointed out that complete awareness of our motives would interfere with their effectiveness. Your ability to remain brave in the face of extreme danger is enhanced if you really believe you can deal with the threat. Your overconfidence that you can make the Olympic team will actually aid in making it come true. In both cases, there are negative consequences if you are wrong: In one case, you may exhaust yourself in 4 years of futile workouts; in the other case, you may unnecessarily risk your life. Thus, it appears that self-deception is possible. But the bulk of the direct evidence for its existence comes from the clinical experiences of psychologists and psychiatrists. Most clinicians can report instances where their patients have clearly deceived themselves, usually with unhealthy consequences. The experimental evidence for self-deception is much less abundant. In fact, only the two studies described later claim to have demonstrated self-deception. Of course, it just takes one valid demonstration to prove that human beings can self-deceive. But such demonstrations have proved to be extremely difficult to carry out even in controlled laboratory studies. The reader can decide whether the two studies are convincing or not. Psychologists Harold Sackeim and Ruben Gur started with the idea that people typically don’t like the sound of their own voices. On the main experimental task, participants were asked to pick out their own voices from a series of voices that did, in fact, include their own. They said “Me” or “not Me” to indicate that a voice was theirs or not. At the same time, they are hooked up to a polygraph, which measures emotional response. So we have two pieces of information, an oral response and an emotional response measured by polygraph. The polygraph invariably shows a blip when the subject’s own voice comes on, but many false denials can occur. The oral response is not accurate; it is your voice and you deny it, but the polygraph recognizes it as you. The false denials, coupled with the polygraph, suggest the person knows something and does not know it at the same time; the person is unaware of his or her own beliefs. When Sackeim and Gur lowered the self-esteem of subjects beforehand, there were more false denials. False denials substantially increased when the person was motivated to avoid self-confrontation. According to Sackeim and Gur, the false denials show that subjects believe X and do not believe X at the same time. Their lack of awareness is motivated by lowering their self-esteem. They argue that this single demonstration of self-deception is all that is needed to show self-deception occurs. The second study claiming to demonstrate self-deception was conducted by psychologists George Quattrone and Amos Tversky. They used a cold pressor test, in which participants are asked to immerse one hand in very cold water and keep it there as long as they can stand it. Results showed that participants receiving this information rated the task as less painful. They even held their hand in the cold water longer. They seemed to be trying to convince themselves that they didn’t have the life-threatening cardiovascular problem. They were engaging in self-deception, according to Quattrone and Tversky, because they wouldn’t acknowledge, even to themselves, the pain that they surely were experiencing. You may or may not be convinced that these studies demonstrate self-deception. What you should be convinced of is that proving self-deception is incredibly difficult. Remember that a convincing experiment has to show that a person believes something and disbelieves it at the same moment. It is not surprising then that only two empirical studies have claimed to demonstrate the phenomenon. Instead, the bulk of writing on self-deception is published by philosophers who, unlike psychologists, do not have to collect data to support their claims. Instead, philosophers’ method consists of developing logical, persuasive arguments for their position on an issue. The examples discussed earlier suggest a deep-seated powerful psychological process. In each case, the person has the information to draw the correct conclusion but, for strong emotional reasons, will not do so. A number of everyday positive illusions seem to have the flavor of self-deception but are less dramatic. You might set your watch 10 minutes ahead to ensure that you get to an appointment on time. How can that possibly work? You know very well your watch is 10 minutes fast; you aren’t fooling anyone. Yet people say it helps them to be on time. Or take procrastination: People know the strategy hasn’t paid off in the past, yet they promise themselves that they’ll make that unpleasant phone call later. They come up with amazing rationalizations for staying in bed or waiting until the last minute to write a paper. Labeling such cases as self-deception is a stretch. They are better placed into the category of strategic coping mechanisms. The term self-deception should be reserved for cases in which strong psychological forces prevent a person from acknowledging a threatening truth about himself or herself. In short, the importance of self-deception to social psychology cannot be overestimated. The concept is central to the human necessity to trade off or, at least, balance two fundamental motivations. People want accurate information about their world and its complexity; at the same time, they need to defend against information that would destroy the ideas that their lives are built on. Baumeister, R. F. (1993). Lying to yourself: The enigma of self-deception. In M. Lewis & C. Saarni (Eds. ), Lying and deception in everyday life (pp. 166-183). New York: Guilford Press. Goleman, D. (1985). 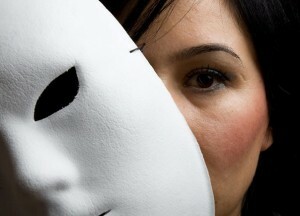 Vital lies, simple truths: The psychology of self-deception. New York: Simon & Schuster. Gur, R. C., & Sackeim, H. A. (1979). Self-deception: A concept in search of a phenomenon. Journal of Personality and Social Psychology, 37, 147-169. Krebs, D. L., & Denton, K. (1997). In J. A. Simpson & D. T. Kenrick (Eds. ), Evolutionary social psychology (pp. 21-48). Hillsdale, NJ: Erlbaum. Lockard, J. S., & Paulhus, D. L. (1988). Self-deception: An adaptive mechanism? New York: Prentice Hall.